This topic contains 10 replies, has 4 voices, and was last updated by tonydavies 4 years, 3 months ago. Any Idea were we are? The building in the background looks like Giffard House. Given that there’s a road between the gate and the house, I’ll take a stab at the old Wholesale Market in Wulfruna Street. Tony thank you again for your continued support, You have now eliminated the Wholesale Market from the possible list of answers, as that is not the correct one in this case and so have helped others considering having a go. Second stab (in the dark!). Back of the Molineau Hotel and a gate into the football ground? 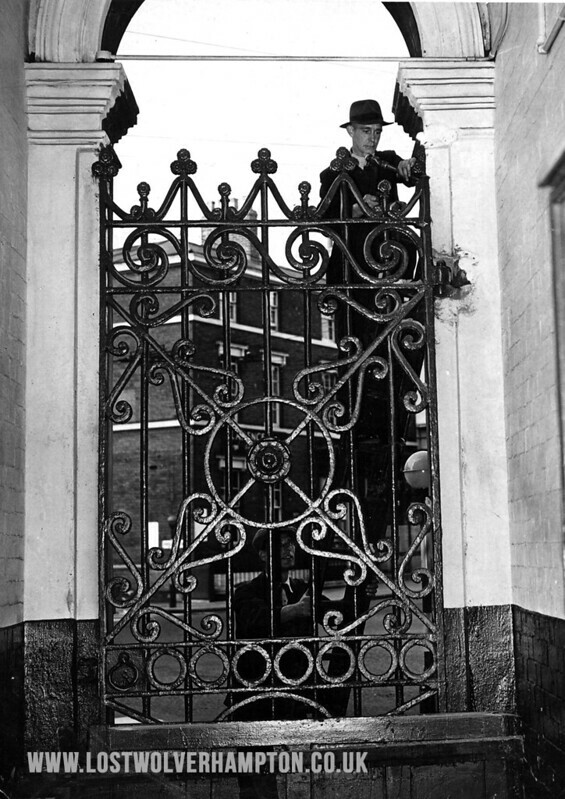 Alternatively, A gate into Giffard House with the Hotel in the background. Its looks as though there is only you and I again Tony, so a clue is needed as its no where near the Molineux. All I can say it would “Costa” lot more money to re-place the gates today than it did when they were first placed there 160 years ago. We’re not anywhere near Chapel Ash, are we, Billy? I don’t recognise the gate, but the building in the background reminds me of some I used to pass on my way to school, around the top of Tettenhall Rd / Compton Rd. No Maggie nowhere near Chapel Ash. I thought the previous clue I gave was a give away to the location today and the building you mention in the background then on the photo is still there.today in 2015 Amazing isn’t it! In between wanderings, Billy. Your clue did it, I think. The Queens Building, Victoria Square. An interesting question, I’ll give you a more interesting one. Where is it now? Gone, like so many of Wolverhampton’s finest bits? Blimey George I have missed you I hope your gallivanting has ceased now for awhile. And if you go inside and look through the now glassed up gateway were the ornate gates were removed from. You will still see across the way on the corner of Queen Street street The Georgian Building split today between the Wulfrun Hotel and a One Stop food store. 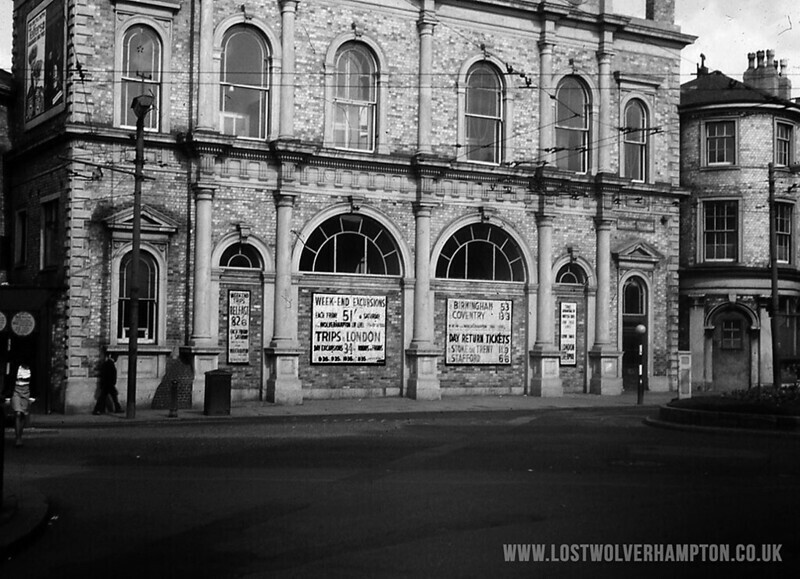 As you say George the ornate gates have now gone forever to the Lost Wolverhampton Property store in the Sky. Well done George! I’d written my guess out earlier, went away to do something else, and came back and posted without checking to see if there were anymore replies. Such a shame that so many ornate pieces are gone forever.